Is Cruising An Affordable Family Vacation? 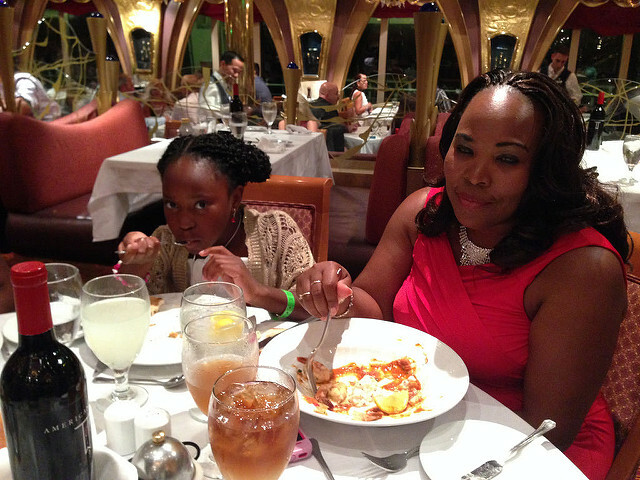 Inarguably, a Caribbean cruise makes a great and affordable family vacation. This is my strong opinion. Do you wish to differ? What factors do you consider in vacation affordability? For me, I consider price and value for money. Many families drive to the same place every year and refuse to consider another form of vacation, because they believe that everything else is too expensive. Yes, I know that is not the only reason some of people take the same vacation every year. Look at your kids, do you sense that they want to do something a little different? What are you afraid of? 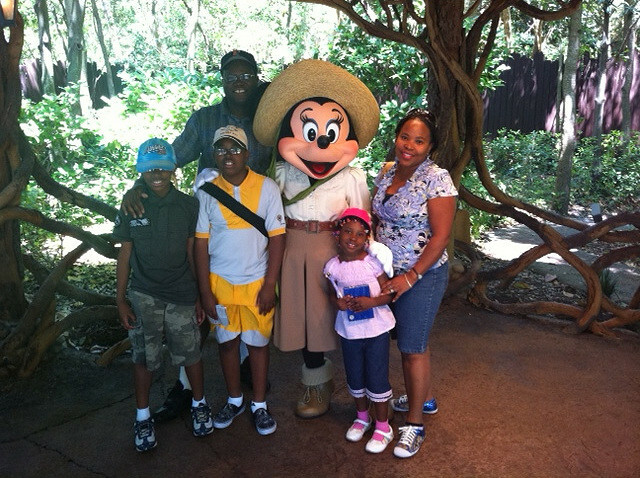 Do you believe that you cannot find another form of affordable family vacation? It is true that for many who do not cruise, price is factor. The misconception is that a cruise vacation is always expensive. 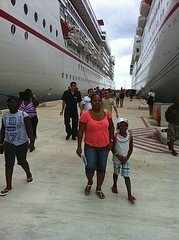 My family numbers five (5) and so a Caribbean cruise package can quickly run us over $3,000. However, if we play our game right, we can save some money on that same package. We can choose to sleep in one cabin - yes, all five of us. 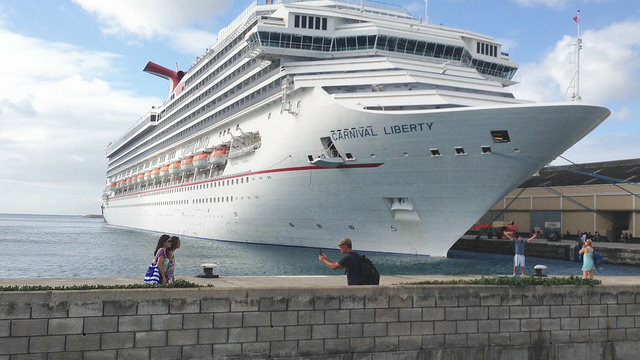 That will always result in a cheaper cruise package, especially with Carnival Cruise Line. Cruise lines usually charge the first 2 people in the cabin the top rate and then a lower rate for everyone else in the cabin. We can also be smart about when we book our cruise. If we book early, we will pay the best cruise price, as rates continue to climb as you get closer to the sail date. There are, however, instances when many empty cabins remain weeks before a sailing, and the cruise line will lower cabin prices to attract more passengers. This is how you get last minute cruise deals. But, these are not always available. Another way to ensure that we pay a reasonable price for our cruise vacation, is to shop around. Like everything else that you buy, always compare the prices cruise lines publish for similar cruise itineraries. Quite often, you will find one cruise line charging more than another for a cruise heading to the same ports of call. Yes, I understand that you may want to sail on a particular cruise line. But, if you are interested in finding an affordable family vacation, your main concern should not be the cruise line. "I told you cruising is expensive!" However, what you need to understand is what your cruise ticket price covers. What's included in your cruise package? This brings us to the next test of family vacation affordability. What is packed into a cruise vacation deal that makes it so affordable and appealing? What do you do when you book a hotel near the beach for your summer vacation? You pay for the hotel; buy three meals per day (plus snacks); worry about fun and entertainment (you cannot stay on the beach all day for 5 or 7 days); and you get bored after seeing the same place for 4 or 5 straight days. Not so with a family cruise vacation to the Caribbean! You pay one price and get everything else. Think about not having to worry about food, entertainment, or monotony. Wow! 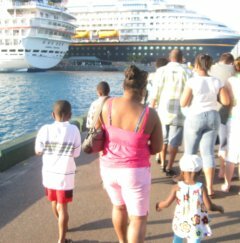 Yes, a cruising makes an affordable family vacation because of the value included in your cruise package. You have your cabin - you have all your meals (3 main meals plus others in between) - you have all sorts of activities to choose from onboard the ship - you have live entertainment every night - you have trained professionals to look after your children, so that you and your spouse can do whatever the heck you want - you visit multiple places on one cruise sailing, enjoying different beaches, foods, shore excursions and cultures. All of this in one cruise package booking! Can you top that? A family vacation to the beach cannot top a cruise vacation! Again, this is my opinion. Are you beginning to see that a Caribbean cruise makes an affordable family vacation? I hope so, because it does for my family. We love to cruise and save, and will always choose an inclusive family cruise over any other type of vacation.